A few weeks ago Target had a sale on Apple Watches that I found interesting. I initially balked at them because the profit margin was not great. However, as a I wrote about in this post it occurred to me that the watches are a perfect reselling opportunity to meet minimum spend. Why? For a number of reasons. 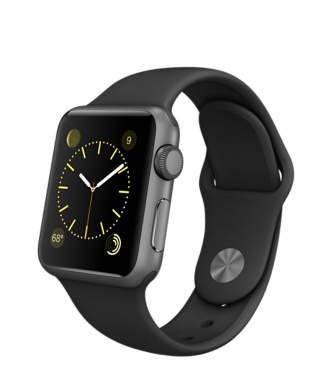 The 42mm Space Grey version is the #1 seller for men and women’s watches. Amazon itself does not sell the product. You will likely earn a profit. Depending on what you can float you could almost instantly meet a minimum spend. I still need to spend about 15k on my recent BA card to get the extra 50,000 Avios. So I thought I would buy 4 watches as an experiment to see how well the watch sells and what kind of profit I would make. For the most part things went great, expect for a couple of hiccups. The first hiccup I had was when my watches finally posted every seller but me was showing as backordered. I was the only one with available inventory. My initial reaction was sweet! I will raise my price. At the time the watch was selling for about $355. I upped my price to $365. The only problem was a seller who was backordered was still in the buy box. Nothing I could do would budge him from the buy box. Long story short after deciding I wasn’t going to get that guy bumped (maybe it’s not possible once you are in it) I lowered my price back down to 354.50 and called it a day. When I woke up the next morning all 4 of the watches were sold. All in all it took less than 12 hours to sell all 4 watches and all 4 sold for $354.50. The orders were pending for a couple of days and then I had two orders cancel. For one out of the two orders that was not a problem because it resold within minutes of relisting. The second cancelation was not so smooth. Unfortunately, it would appear that Amazon then misplaced the item. So now it is lost somewhere in the abyss at an Amazon warehouse. I noticed it pretty fast and made a claim with Amazon. They are now looking for it and if they can’t find it within 30 days they will reimburse me. Overall I am fairly pleased at how things turned out. The missing inventory is a bummer but it comes with the territory. I ended up making about $20 per watch. Which is not as high of an ROI as I would want if I’m reselling to earn money for my travel slush fund. However, if I am reselling to meet a minimum spend I am very happy with that kind of margin. When I am looking to source deals I am looking for two kinds of deals. One, high ROI products. Two, products that would help me meet a minimum spend. Ideally I can find deals that fit both categories, but that is not always the case. The Apple Watch fell within the later category and it worked out great. Definitely and item to keep an eye on moving forward. 3 Comments on "Reselling Apple Watches"
I am confused as how Amazon lost your watch? I thought you bought them at Target? Did I miss something? Are you selling these on Amazon marketplace? This sounds like an interesting way to hit minimum spend. How many hours did you put into this? With listing it, taking pictures, posting, boxing them up and shipping them out? I am confused about how this is the second time such a thing has happened to me. I think your questions might make for a good post on the subject. That’s good. I figured it was worth asking!